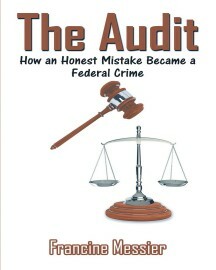 The Audit: How an Honest Mistake Became a Federal Crime tells the true story of how an honest mistake was found during a routine audit of the author’s taxes, how it was investigated illegally, and how she was charged with tax evasion, taken to court by the Canada Revenue Agency (CRA), and convicted. 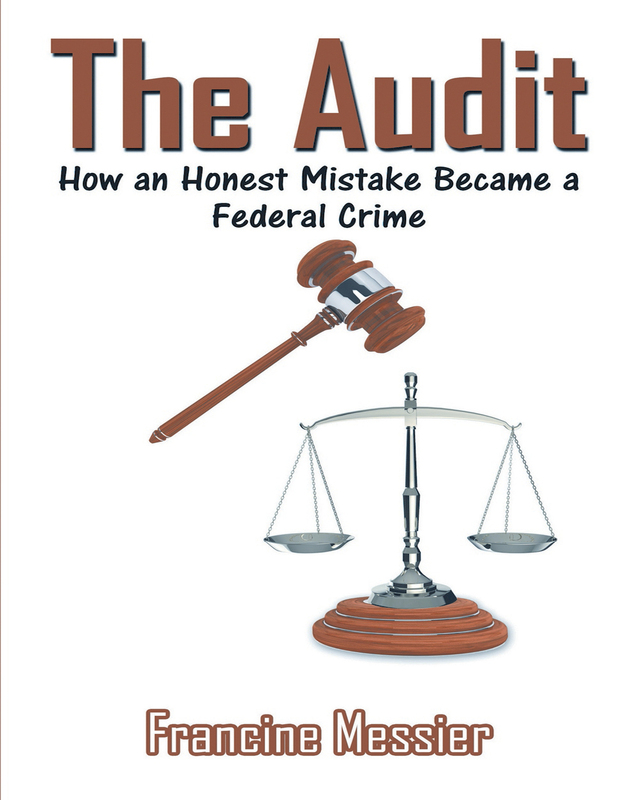 The tongue-in-cheek book by retired accountant Francine Messier describes how the CRA will present or omit only the documentation that supports its selected cases, and how it is never brought to task for bullying, lying, intimidation, or threats. Besides which, the CRA has the unfair advantage of having endless financial resources (our tax dollars) to use against a taxpayer who often must concede due to financial constraints. This story is written from a sardonic point of view to tell how this taxpayer was subjected to routine unfair practices by government tax agencies, and ended up charged and convicted of tax evasion as the result of a simple error. The same thing also happens with the IRS in America. Meet an over-zealous auditor, a sneaky investigator, a make-it-up-as-you-go enforcer, a driven, devious prosecutor, and a judge who leaned in favor of the prosecution. This whole fiasco took nine years to play out. Keywords:- CRA, IRS, Tax Court, True Story, Audits, Tax Collection, Tax Fairness.